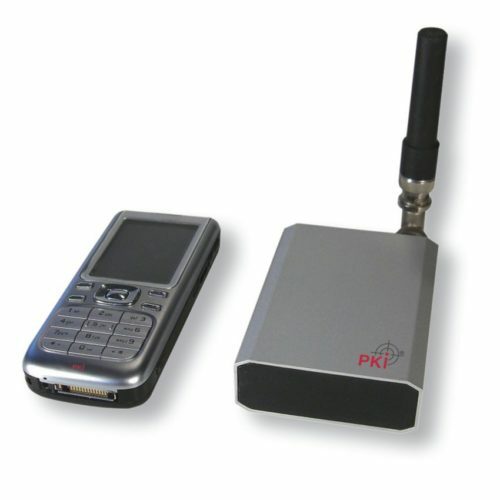 It is hard to believe but today’s GSM-technology allows many actions for remote controls all over the world. This is what our PKI 9715 can do. Switching on and off electric heaters, lamps, radio sets or other household equipment is as well possible as activating mains- powered monitoring devices like those shown in this catalogue. No matter whether you are in Spain and you must activate a certain device at home in Germany, or in your office in Turkey or anywhere else in the world – distances are of no importance. Of course, it is up to you what kind of device you wish to switch on or off but the PKI 9715 is the right choice for all such operations. With its potentialfree in- and outputs, the minimised dimensions of only 68 x 60 x 30 mm and the low weight it can easily be installed wherever you might need it. Simply place a commercial and prepaid SIM-card into the slot and off it goes.